That's a princess you don't mess around with! 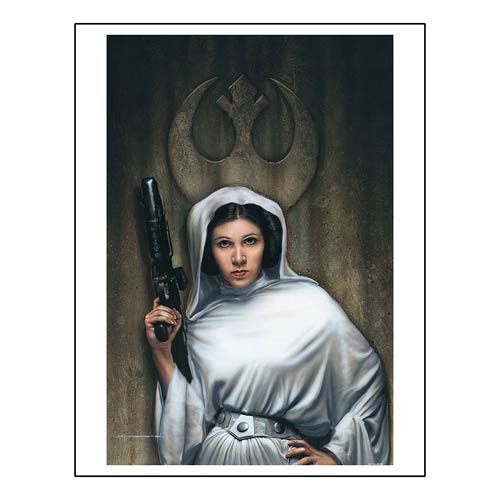 This Star Wars Rebel Princess Paper Giclee Print features a stunning image of Princess Leia, standing in front of the Rebel Alliance symbol with blaster rifle in hand. From artist Jerry VanderStelt, this hand-numbered print is a limited edition of 95 pieces! Measures 22-inches tall x 17-inches wide and comes complete with Certificate of Authenticity. Ages 14 and up.